Hold all kinds of equipment. Compact 18” x 24” size fits into any small space. Available with locking cabinet to secure equipment. 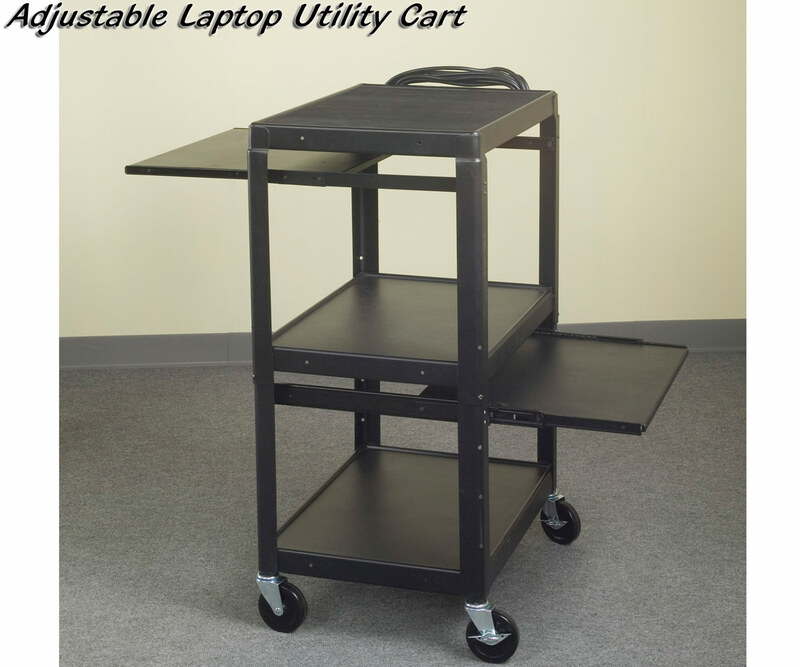 Choose from adjustable 26" to 42" H units or from fully-welded 26"H or 42"H units. Sturdy steel frame with black powder coated finish. 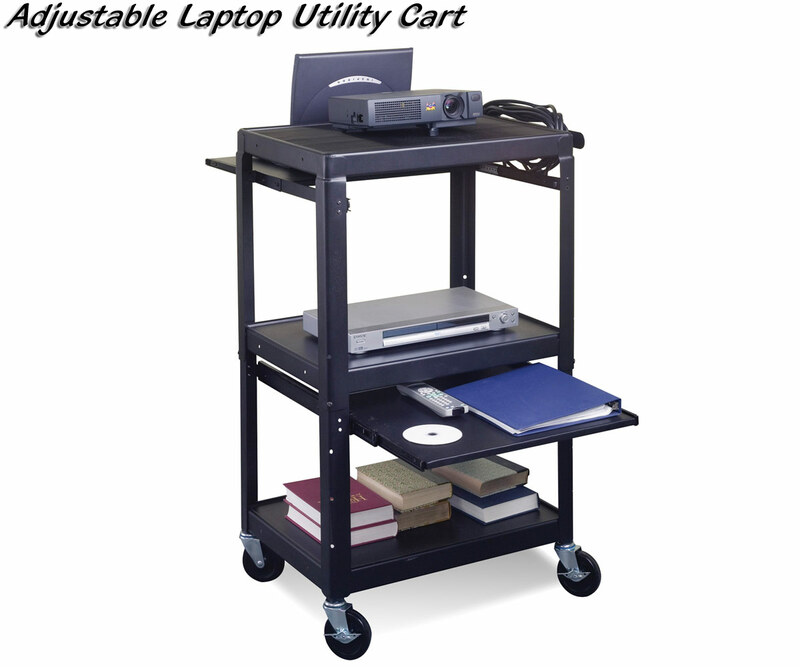 Includes UL/CSA approved, 4-outlet, surge-protected, electrical assembly with 25' cord and cord winder and non-skid rubber mat. 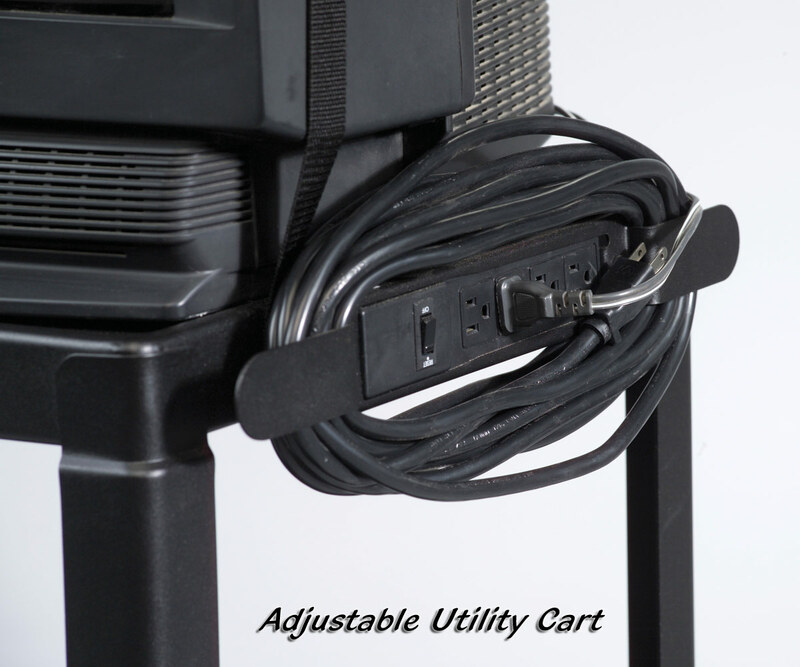 Optional safety straps are available. 4" swivel casters, 2 locking. Ships ready to assemble. 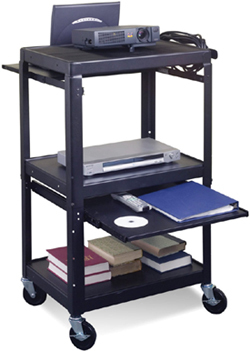 Fixed height 26"H and 42" H carts ship assembled. Others are ready to assemble. 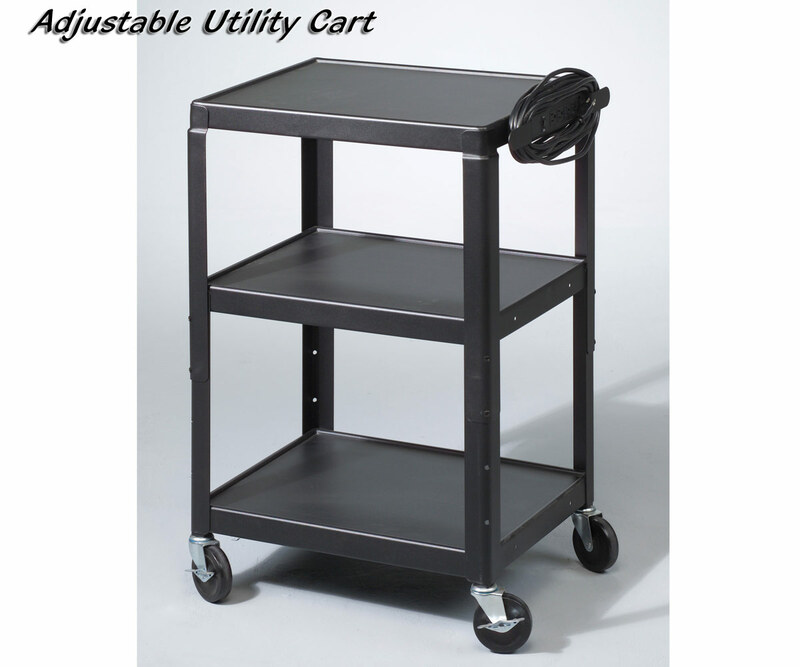 85992 Utility Cart with cabinet 26-42"H x 24"W x 18"D 50 lbs. 66550 AV Safety Strap (heavy Duty) 10' long x 2" W 1 lbs. 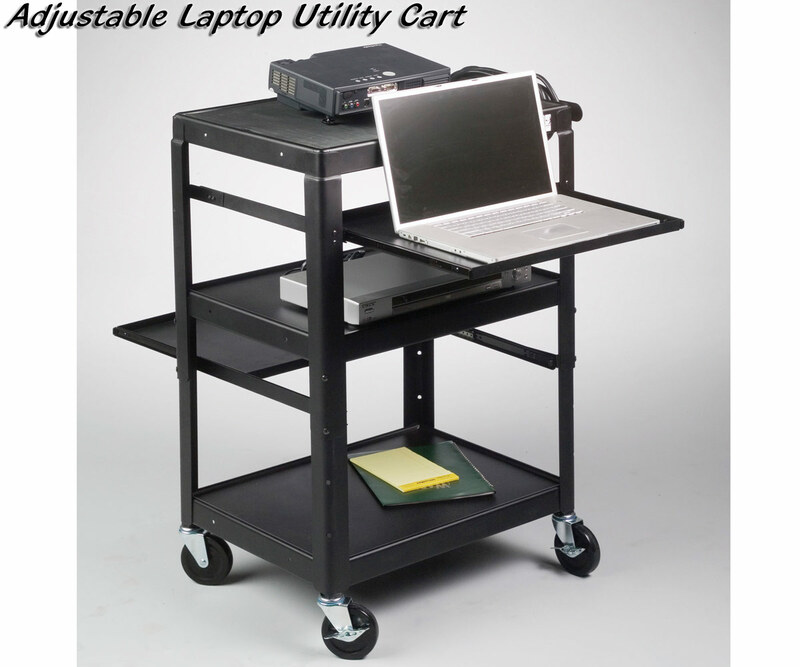 89842 Adjustable Laptop Cart 26''-42''H x 29''W x 15''D 59 lbs.